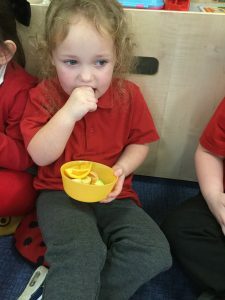 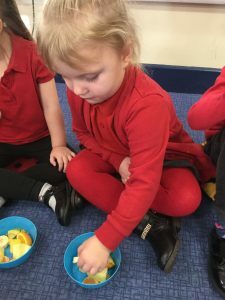 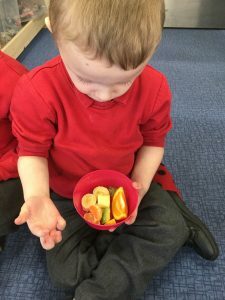 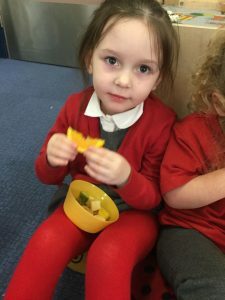 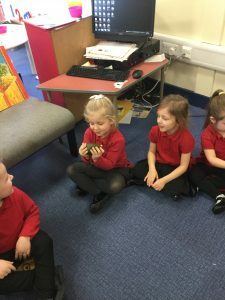 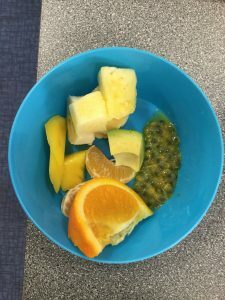 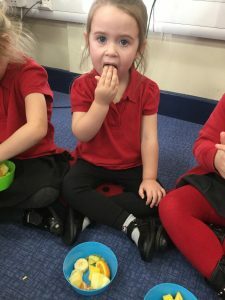 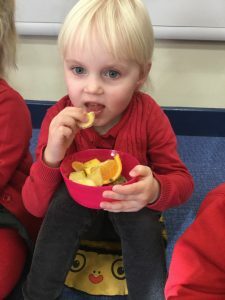 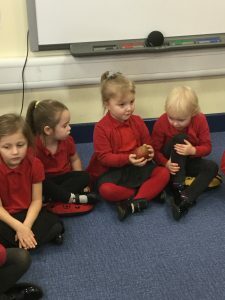 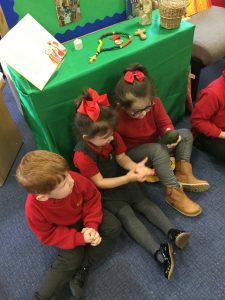 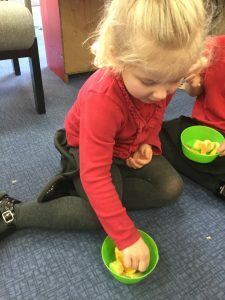 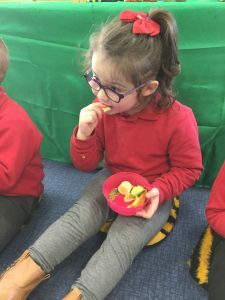 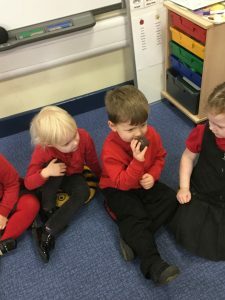 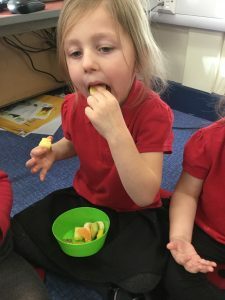 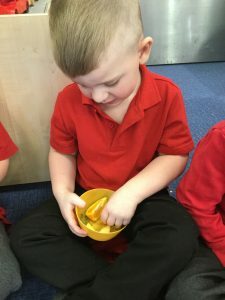 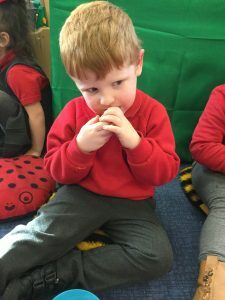 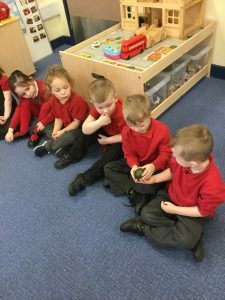 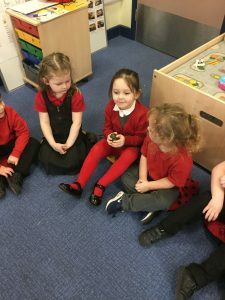 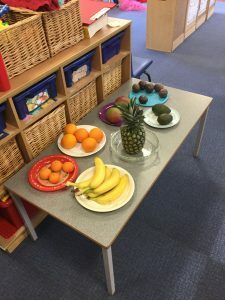 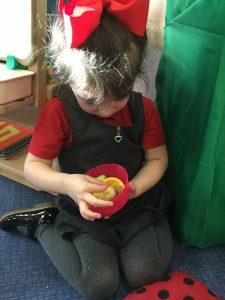 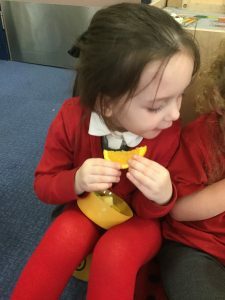 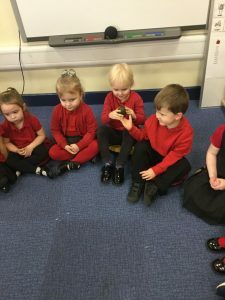 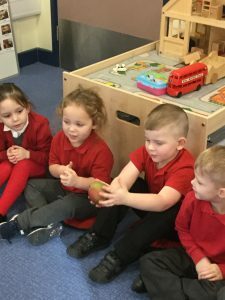 Our topic in Nursery this half term is ‘Food, Glorious Food!’ This week we have been looking at the story ‘Handa’s Surprise’ which has lots of unusual fruit in it. 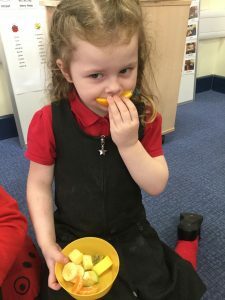 We decided that instead of baking this week, it would be nice to try some of this yummy fruit. 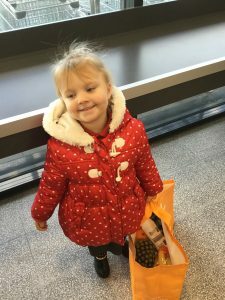 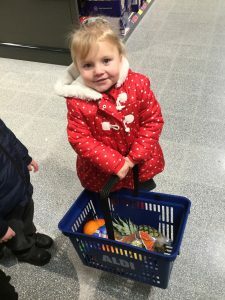 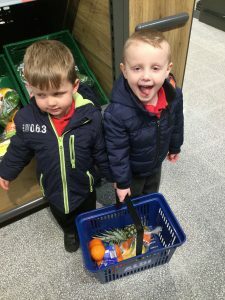 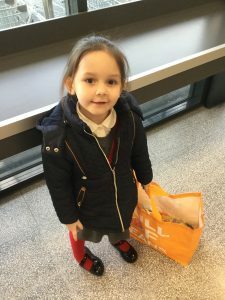 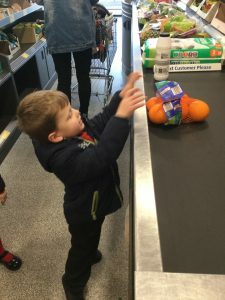 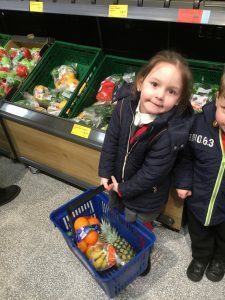 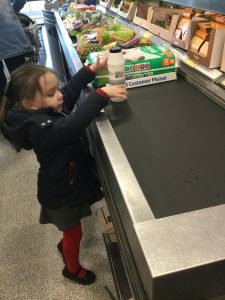 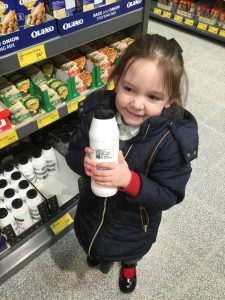 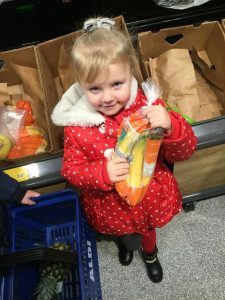 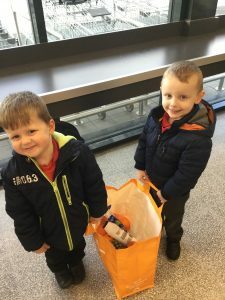 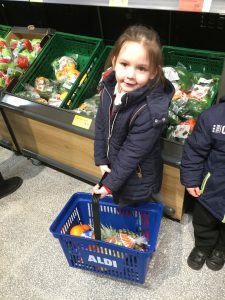 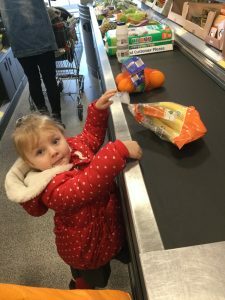 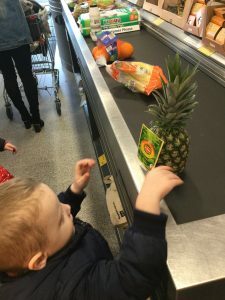 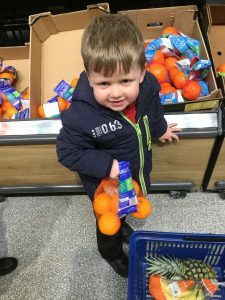 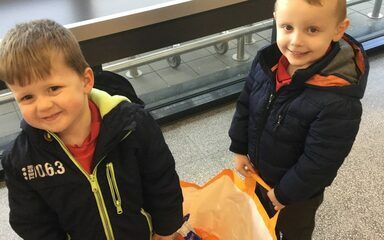 Four children walked to Aldi with Mrs Wallace to buy bananas, oranges, mangoes, a pineapple, avocados, passion fruit and tangerines. 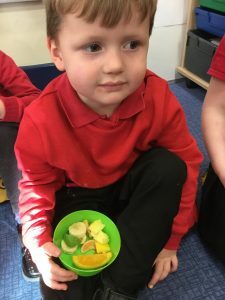 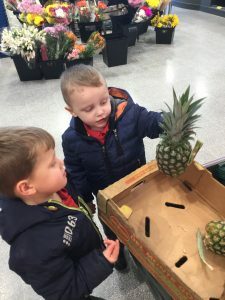 When they got back we all had a feel of the fruit – some were very smooth, the avocado was bumpy and the pineapple was very spiky! 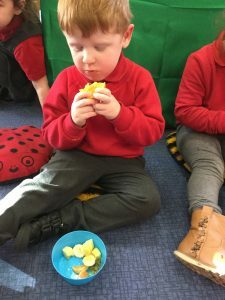 Everyone had a try of the fruit, some of it was delicious and some we weren’t too keen on! 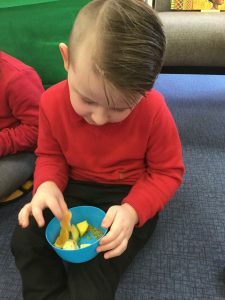 It was lots of fun trying new food.